I actually cancelled my Glossybox subscription a few months ago for a couple of reasons, the main one being that at the moment I can’t really afford to keep it up. Also I find the boxes a bit hit and miss and it’s really disappointing when you open your new box and discover you’re not very keen on at least a couple of the products included. But this is the nature of a surprise beauty box. I have however been keeping an eye on the contents of each month’s box and hadn’t ruled out treating myself to one if it looked like a good one. 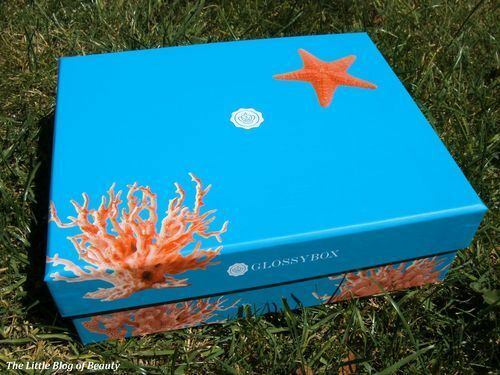 As soon as I saw that July’s box featured a special seaside design I knew I wanted it just for the box alone! I kept an eye out for blog posts showing the contents of the box and thought that this looked like one of the best boxes they have ever done. So I decided to order one. Just look at the amazing box! So you may have noticed there are only four products shown above. That’s because my 5th product was missing from the box. 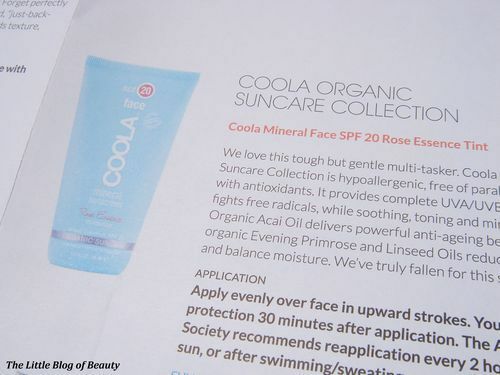 According to my list of products I should have also received a Coola Organic facial sunscreen. I’ve emailed Glossybox to let them know I’m missing a product and hopefully it will be with me soon. I don’t actually use dry shampoo at the moment but have been meaning to give it a try. I also love the smell of coconut so I was really pleased to receive this. I’ve been wanting to try a sea salt spray or similar product so again I was pleased to receive this. This was one of the product’s I was really hoping I’d receive. I’ve never tried a Ciate nail varnish before so I’m looking forward to seeing what it’s like. I received The Gossip which is a gorgeous peachy coral shade, perfect for summer. >I noticed that the majority of boxes include this item so I was expecting to receive this, but unfortunately I can’t use it. This is obviously the perfect product for the heatwave we’re having at the moment but it contains lavender which I’m allergic to (I also can’t stand the smell of lavender). I still ordered the box despite knowing I was likely to receive this because I thought the other products looked good enough to risk it and my mum will appreciate this. So I received three full size products which I’m really pleased about. I’m not sure what size the sunscreen is but I would imagine this will be a sample size. I think this is the first Glossybox where I would have been happy to receive any of the products available (apart from the facial spray as I’ve explained above) and I did receive the product I wanted the most (the nail varnish). So, overlooking that one of my products has gone AWOL, I’m really pleased with this box!